The ‘Bal Gandharva’ movie opened this week. I was eagerly waiting for its release, and managed to catch this afternoon’s show. I normally don’t blog about cinema; unless I am really impressed (or extremely disappointed) with a specific movie. ‘Bal Gandharva’ clearly falls in the former category…hence this brief blog post. This movie provides a great snapshot into the life of the legendary Marathi Theater artist and singer Narayan Shripad Rajhans (popularly known as ‘Bal Gandharva’). Coming back to the movie, Subodh Bhave in the lead role of Bal Gandharva is terrific. The screen-play, the sets, the direction are all excellent. At times, the movie has a slight documentary like feel and the viewer is transported to Maharashtra in the early part of the 20th century – an era that represented the golden age of Marathi Theater. The movie is thoroughly entertaining and engrossing. Music is an integral part of the movie and Anand Bhate has does an amazing job of singing the original Bal Gandharva classics. ‘Bal Gandharva’ presents many of the key events and periods in the life of Bal Gandharva, in a balanced manner, often leaving the interpretation to the viewer. His early years with the Kirloskar Natak Company…His amazing potrayal of female roles… Setting up his own Gandharva Natak Mandali… Struggles with his personal family life… His constant desire to leave no stone unturned to create a grand production for the audience, at any cost… His utter mismanagement of finances and resulting huge debts… The waning years of his career when theater audiences started defecting to the new medium of cinema… and through all this, his total perseverance and steadfast devotion to his primary love – Theater. From a historical perspective, this movie shows many important characters and events. Lokmanya Tilak listening to a young Narayan (aged 10) and referring him as ‘Bal Gandharva’ for the first time, Anant Kanhere shooting Collector Jackson at a theater in Nashik, Ram Ganesh Gadkari at his death bed, Shahu Maharaj of Kolhapur, Maharaja of Baroda, a young V Shantaram convincing Bal Gandharva to switch to this new medium called ‘Cinema’,…and many more. I personally like historical movies and Bal Gandharva scores really well in this area as well. Do watch ‘Bal Gandharva’ if you are a fan of theater, history or music. The movie has English sub-titles. I recently test drove the new Chevy Cruze. There has been eager anticipation about this new Sedan (not just in India, but globally as well…) and I too was keen to see a launch from the ‘New GM’. Over the past 2 decades, I haven’t been a huge fan of American Cars, compared to their German and Japanese counterparts. I was hoping that this new generation vehicle would change it. However, I was disappointed. 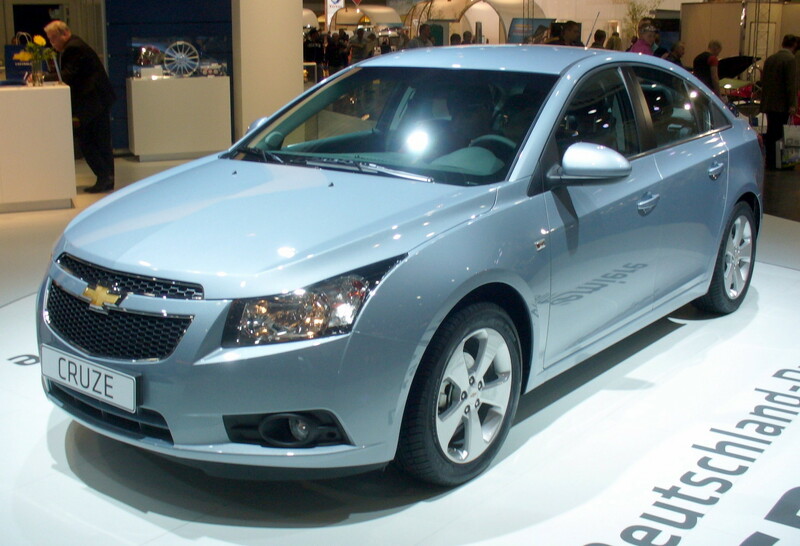 The current Cruze model was originally developed by General Motors with its Korean counterpart/division (Daewoo). Note – given the price and feature range, I am comparing this vehicle with Toyota Corolla, Honda Civic and Skoda Laura. As you get in the car, the interiors strike you as pretty unappealing. The leather upholstery is definitely not up to the mark. Even leather seats fitted in after-market shops can look and feel better. The ergonomics are not ideal as well. Yes, the car does boast a tilting Sun Roof. The Electronics Multi-Function Control Display is pretty decent. Climate Control is also provided. And the car has a ‘Button Start’ instead of your regular ignition key. But other than these add-ons, the car’s interior comfort and styling still leaves a lot to be desired. Probably the best technical feature of the Cruze is its 2.0 liter 150 BHP Turbo-Charged Common Rail Diesel Engine. This powerful machine provides a nice acceleration ( comparable with the Skoda Laura’s Diesel Engine 2.0 liter 140 BHP). The claimed fuel economy is also quite good. The 16 inch wheels provide good traction and ride. A slight lag is noticed when you accelerate, but that is typical of Diesel Turbo-Charged Engines. Presently, only a manual transmission power-train is available in India, however an Auto-Transmission version is planned for later this year. The handling and maneuverability of the Cruze is not as great as compared to its German/Japanese counterparts in the same category. Same goes with the overall ride feel. I think one of the other big things going for the Cruze is its price – quite aggressively positioned under 15 Lakhs (1.5 Million). I think this and the fact that it has a Diesel Engine (not available in Toyota Corolla and Honda Civic) will be a plus. The Indian Consumer somehow has a huge fascination for Diesel Engines, and how they seemingly cost less. The simple logic being that Diesel gives a better mileage and is cheaper (by about 20%) than Petrol. However, very few do any real math to figure out how much they really drive and how much the real difference would work out to be, as far as the ‘Total Cost Of Ownership’ for a Petrol and a Diesel Engine! For cars that are greater than 10 Lakhs in Price, the savings with Diesel (if at all) workout to less than 1 Lakh (or 10%) of the price of the car in most cases (Driving about 100,000 km in 6-7 years). To summarize, I think the Cruze might do reasonably well in India given its engine power, price point and perceived diesel economics, but will definitely not rank up there when it comes to handling, smoothness and driving comfort. This morning, I was at the Toyota Dealership for my car servicing. The prospect of a boring wait lay ahead. I picked up a brochure of the new Fortuner and casually enquired about the possibility of a Test-Drive, fully knowing that the SUV may not even be available at this location. Ever since the much anticipated launch in 2009, the Fortuner is in great demand and even the waiting lists have been closed down. Toyota is sitting pretty on a big backlog. To my surprise, the SUV was available and the dealer representative promptly arranged for a Test Drive. Note that Pune City Traffic is pretty bad for any Test Drive! Nevertheless, I was able to drive the SUV around for 20 min, and did manage to find a brief stretch of open road. Note, in a strict sense I won’t call this blog a true Test Drive Report. As the title suggests, these are first impressions. The first thing that strikes you about the Fortuner is the huge ground clearance. The Toyota representative quickly highlighted that it was 220 mm. This is ideal for rough off-road/rural road driving conditions. The 17 inch wheels are also a welcome feature. The exterior shape looks a little bit like the Lexus RX 300 SUV (though the Fortuner is smaller), and is pretty nice. Unfortunately, the similarities between the Lexus SUV end quickly! From the inside, the Fortuner looks quite simple, with little hint of any luxury. In fact, the interiors are very close to that of the top-end Innova (that costs almost half…). The cabin space, consisting of 3 rows of seats, is at best comparable with that of the Innova. The features list of the Fortuner also runs very close: 2 Airbags, Climate Control being the primary highlights. However, the similarities between the Innova start fading away as you start the Fortuner. The 3.0L Turbocharged Diesel Engine is bigger and significantly more powerful. It delivers 126 KW (171 PS) of Power @ 3600 RPM, with a Max Torque of 343 Nm (1400 – 3400 rpm). The 5-Speed Manual Transmission drives the full-time 4WD system. It also has special gear for driving in extreme high gradients (often referred to as the ‘Jump’ gear in the old Land Rovers and Jongas…). The Fortuner definitely has enough power at hand – However, a noticeable turbo-charger delay is felt when accelerating. Having recently test driven the 2.0 Liter Diesel Skoda Laura, I felt that the Fortuner delay was longer and more pronounced. One area where Toyota excels the most in my opinion is the suspension and the comfort of the ride. The Fortuner doesn’t disappoint here at all. The comfort for the driver and passenger is great, and will be a big plus on the rough roads in India. On the downside, I still think that Toyota Diesel Engines are not as smooth and refined as that of their German Counterparts. 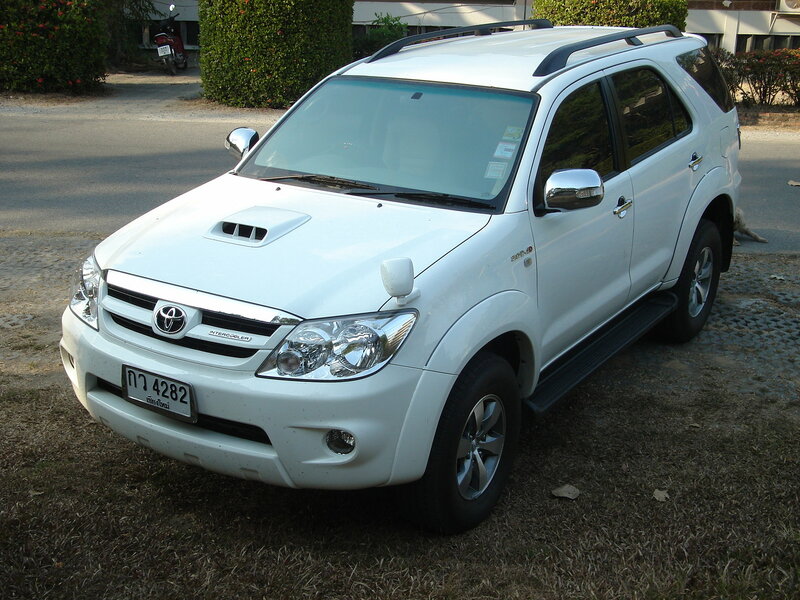 Agreed, fuel economy is a big factor, but a Petrol Fortuner would not be a bad idea at some point in the future. The Toyota Petrol Engines are truly great. Maybe it was the specific SUV that I was driving (The representative mentioned that this one had been out on long Test Drives for a few weeks…), but I felt that the braking could have been a bit better. Note, the Fortuner has front disc and rear drum brakes. Overall I thought that Fortuner is a good vehicle; simply not a great one. At the price point of Rs 20 – 22 Lakhs, I would have expected a bit more refinements and features on the interiors. Hope Toyota considers a Petrol Engine variant (or does some serious improvements to the Diesel Engine). Also at the +20 Lakhs price range, an Automatic Transmission Option should be made available.